Data Mining Case Stuides would like to thank all of our organizers for their generous service, expertise, and continued enthusiasm for highlighting data mining applications. 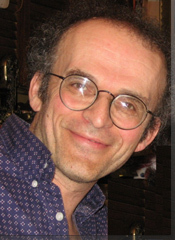 Gabor Melli , PhD., VigLink, began his career in data mining as a graduate student of Jiawei Han between 1995-1998 and has since helped both large organizations, such as Microsoft, AT&T, T-Mobile, Washington Mutual and Wal-Mart, along with start-up companies to achieve a significant return on their big IT bets. Gabor has been actively involved in the data mining community: He is currently a Social Media co-chair and Industry program committee member of KDD-2011, and co-Demos Chair of ICDM-2011. Claudia Perlich , PhD., Media6Degrees holds the position of chief scientist at Media6Degrees, a startup that specializes at targeted online display advertising. Claudia received her Ph.D. in Information Systems from Stern School of Business, New York University in 2005 and holds additional graduate degrees in Computer Science. 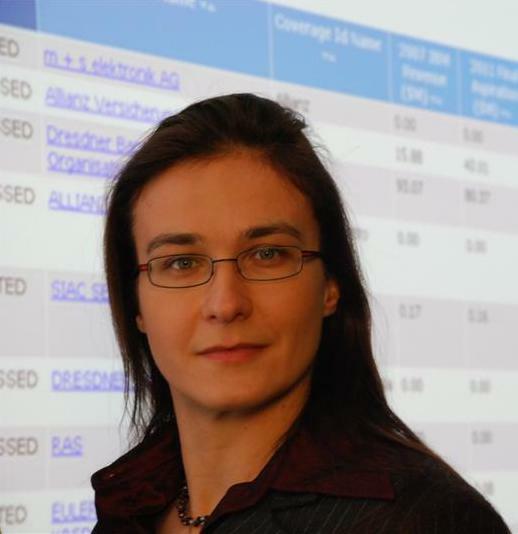 Claudia joined the Data Analytics Research group at the IBM T.J. Watson Research Center in 2004 and continued her research on data analytics and machine learning for complex real-world domains and applications. She is the author or 50+ scientific publications and holds multiple patents in the area of machine learning, has won various data mining competitions, best paper awards, and speaks regularly at conferences and other public events. Ankur Teredasi , PhD., University of Washington, I’m curious about how knowledge networks work, evolve and act as information markets. I study systems, tools and techniques to improve our understanding of various domains that are set to generate large amounts of data including the web, social media, healthcare, education, and sensor networks. I use data mining techniques as my tools to develop solutions for data management in these domains. Broadly, my research interests span data mining, social networks, and pervasive computing. I actively collaborate with colleagues from academia and industry. My work includes trust enhanced social recommendation systems, handwritten zip-code recognition, novelty detection in video data streams, link analysis in online social networks, intelligent bidding agents for sponsored search advertising, and query processing in sensor networks to name a few prior efforts. I enjoy teaching, advising, and mentoring undergraduate and graduate students. I find developing new approaches to enhance participation of non-traditional students to computing to be of great importance and interest. I’m also engaged in developing new programs and curricula in computing and co-developed the recently launched Information Technology and Systems degree program at UW Tacoma. Ashok N. Srivastava , PhD., NASA, is the Principal Investigator for the Integrated Vehicle Health Management research project at NASA. His current research focuses on the development of data mining algorithms for anomaly detection in massive data streams, kernel methods in machine learning, and text mining algorithms. 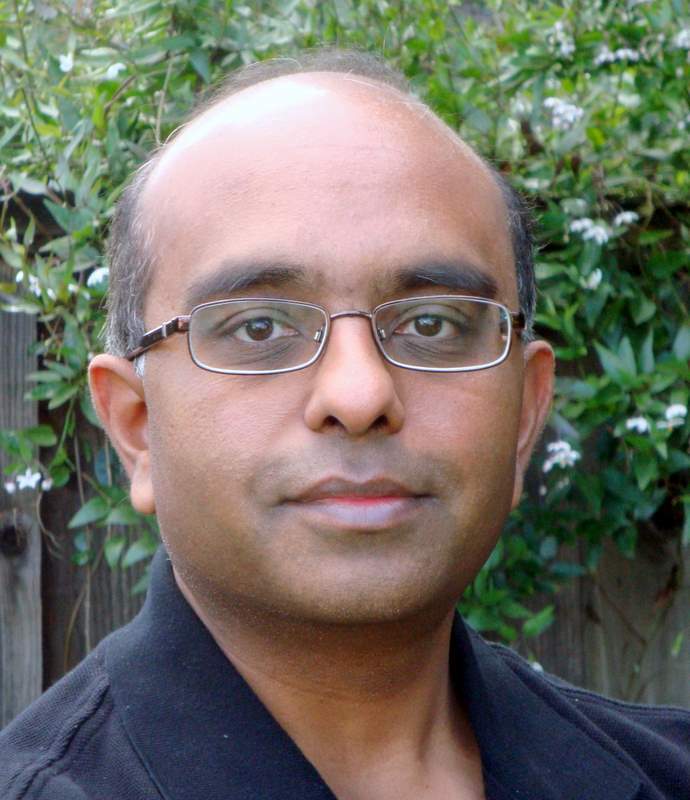 Dr. Srivastava is also the leader of the Intelligent Data Understanding group at NASA Ames Research Center. The group performs research and development of advanced machine learning and data mining algorithms in support of NASA missions. He performs data mining research in a number of areas in aviation safety and application domains such as earth sciences to study global climate processes and astrophysics to help characterize the large-scale structure of the universe. Dr. Srivastava is the author of many research articles in data mining, machine learning, and text mining, and has edited a book on Text Mining: Classification, Clustering, and Applications (with Mehran Sahami, 2009). He is currently editing two more books: Advances in Machine Learning and Data Mining for Astronomy (with Kamal Ali, Michael Way, and Jeff Scargle) and Data Mining in Systems Health Management (with Jiawei Han). Dr. Srivastava has given seminars at numerous international conferences. He has a broad range of business experience including serving as Senior Consultant at IBM and Senior Director at Blue Martini Software. In these roles, he led engagements with numerous Fortune Global 500 companies including Bank of America, Chrysler Corporation, Saks 5th Avenue, Sprint, Chevron, and LG Semiconductor. He has won numerous awards including the IEEE Computer Society Technical Achievement Award for "pioneering work in Intelligent Information Systems," the NASA Exceptional Achievement Medal for contributions to state-of-the-art data mining and analysis, the NASA Distinguished Performance Award, several NASA Group Achievement Awards, the IBM Golden Circle Award, and the Department of Education Merit Fellowship. 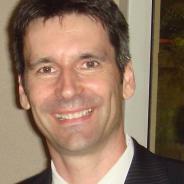 Karl Rexer , PhD., RexerAnalytics, founded Rexer Analytics in 2002. Karl has broad experience in analytic consulting that includes analytic strategy & leadership, predictive modeling, statistics, data mining, direct marketing, CRM, and market research. Karl and his teams have delivered analytic solutions to dozens of companies, including targeting and measurement analytics for million piece direct marketing initiatives, multi-country fraud detection programs, customer segmentations, multi year customer satisfaction tracking, sales forecasting, customer loyalty analyses & prediction, market basket analyses, product cross-sell modeling, and text mining. He has provided guidance on analytic strategy and managed million dollar analytic budgets. Karl is a leader in the field of applied data mining. 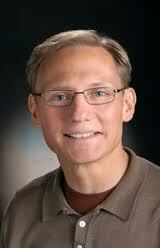 He is frequently an invited speaker at conferences and universities. Karl has served on the organizing committees of numerous international Data Mining and Business Intelligence conferences and workshops (e.g., KDD, IEEE, BIWA Summit, Oracle Collaborate). He also reviews and selects papers for these conferences, is a conference moderator, and serves on awards committees to select the best applied data mining papers. Several data mining software companies have sought Karl's input, and in 2008 and 2010 he served on SPSS's (IBM) Customer Advisory Board. Since his election in 2007, Karl has also served on the Board of Directors of the Oracle Business Intelligence, Warehousing, & Analytics (BIWA) Special Interest Group. In 2011 LinkedIn identified Karl in the #1 position in their list of "Top Predictive Analytics Professionals". Prior to founding Rexer Analytics, Karl held leadership and consulting positions at several consulting firms and two multi-national banks. Karl holds a BA from The Ohio State University and a PhD in Experimental Psychology from the University of Connecticut. Dr. Gregory Piatetsky-Shapiro , PhD., KDNuggets, serves as the President and Editor of www.KDnuggets.com the leading newsletter and Web site for data mining and knowledge discovery, and an independent consultant focusing on Bioinformatics, CRM, and Business Analytics. Dr. Piatetsky-Shapiro is an internationally recognized expert in data mining and knowledge discovery. From March 1997 to March 2000, he served as a Vice-President and Chief Scientist at Knowledge Stream Partners, consulting ... and software development company which specialized in advanced data mining and customer analytics. Dr. Piatetsky-Shapiro is the founder of KDD Conference series. From 1985 to 1997, he served as a Principal Member of Technical Staff at GTE Laboratories where he started and led the first Knowledge Discovery in Databases project. 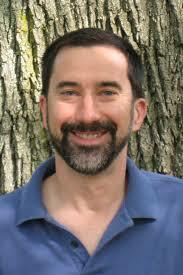 He serves as a Director of the ACM SIGKDD, a professional organization of data miners. He has been a Member of Scientific Board of Advisors at Relevant Data Corp since May 2012. He serves as Member of the Scientific Board of KXEN, Inc. (also known as Knowledge Extraction Engines). He serves as Member of Scientific Advisory Committee of AnVil, Inc. He was a co-founder and past chair of SIGKDD association. Wei Ding , PhD., University of Massachusetts, has been an Assistant Professor of Computer Science at the University of Massachusetts Boston since 2008. She received her Ph.D. degree in Computer Science from the University of Houston in 2008. Her main research interests include Data Mining, Machine Learning, Artificial Intelligence, Computational Semantics, and with applications to astronomy, geosciences, and environmental sciences. 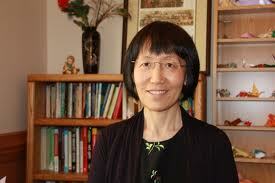 She has published more than 30 referred research papers and has 1 patent. She is the recipient of a Best Paper Award at IEEE ICCI 2010, a Best Poster Presentation award at ACM SIGSPAITAL GIS 2008, and the Best PhD Work Award between 2007 and 2010 from the University of Houston. Her research projects are currently sponsored by NASA, DOE, and NSF. Francoise Soulie-Fogelman , PhD., KXEN Françoise Soulie Fogelman is responsible for leading KXEN business development, identifying new business opportunities for KXEN and working with Product development, Sales and Marketing to help promote KXEN’s offer. She is also in charge of managing KXEN’s University Program.Ms Soulie Fogelman has over 30 years of experience in data mining and CRM both from an academic and a business perspective. 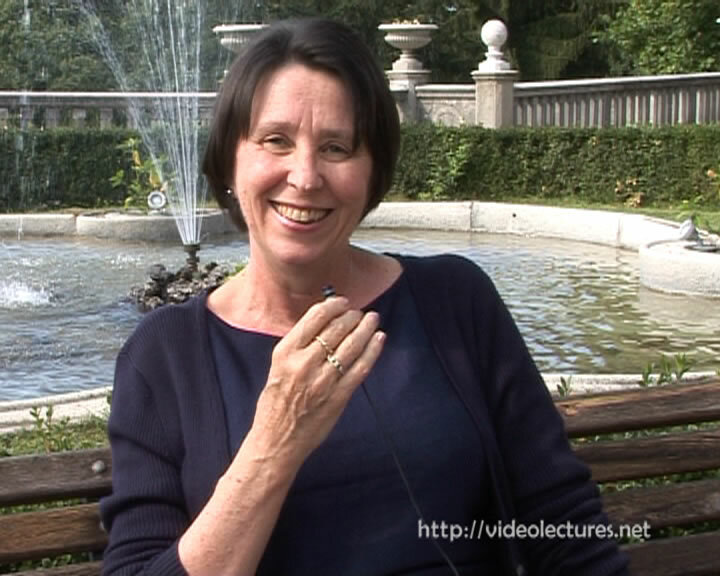 Prior to KXEN, she directed the first French research team on Neural Networks at Paris 11 University where she was a CS Professor. She then co-founded Mimetics, a start-up that processes and sells development environment, optical character recognition (OCR) products and services using neural network technology, and became its Chief Scientific Officer. After that she started the Data Mining and CRM group at Atos Origin and, most recently, she created and managed the CRM Agency for Business & Decision, a french IS company specialized in Business Intelligence and CRM. Ms Soulie Fogelman holds a master’s degree in mathematics from Ecole Normale Superieure and a PhD in Computer Science from University of Grenoble. She was advisor to over 20 PhD on data mining, has authored more than 100 scientific papers and books and has been an invited speaker to many academic and business events. Dean Abbott, PhD, Abbott Analytics, Dean Abbott is President of Abbott Analytics in San Diego, California. Mr. Abbott has over 21 years of experience applying advanced data mining, data preparation, and data visualization methods in real-world data intensive problems, including fraud detection, risk modeling, text mining, response modeling, survey analysis, planned giving, and predictive toxicology. In addition, Mr. Abbott serves as chief technology officer and mentor for start-up companies focused on applying advanced analytics in their consulting practices. Michael Zeller, Zementis Michael Zeller manages the strategic direction of Zementis. As Co-Founder of Zementis, his vision is to position the Company’s technology as a competitive solution in a global market. Providing the financial industry with innovative business solutions, Michael has extensive experience in strategic technology implementation, business process improvement, and system integration. Previously, Michael served as CEO of OTW Software, a company focused on implementing structured software engineering processes and delivering object-oriented analysis and design services. Prior to his engagement at OTW, he held the position of Director of Engineering for an aerospace firm, managing the implementation of IT solutions for major aerospace corporations. Michael received a Ph.D. in Physics from the University of Frankfurt (Germany), with emphasis in the development of neural networks, robotics, and human-computer intelligent interaction. Michael also received a visiting scholarship from the Department of Physics at the University of Illinois at Urbana-Champaign, was the recipient of a Presidential Postdoctoral Fellowship from the Computer Science Department at the University of Southern California, and was an invited researcher at the Advanced Telecommunications Research Institute International in Kyoto, Japan. Wesley Brandi, PhD., iPensatori Wesley Brandi loves fraud; crushing it, that is. A PhD in Computer Science, half a decade fighting fraudsters on the front line of Microsoft’s online services, a sprinkle of techie spice and real deal gusto for getting the bad guys make up the tools of his trade. Wesley is the founder of iPensatori, specialists in identifying and mitigating threats to businesses in the online world. Ah yes, Wesley is not good at speaking about himself in the third person.